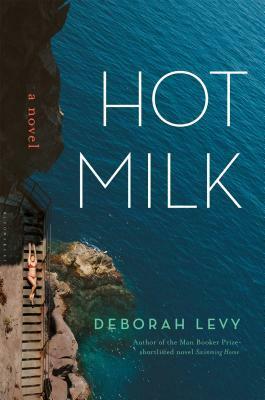 Today I'm featuring Hot Milk by Deborah Levy. The excerpts shared are from the hardcover version I borrowed from the library. Beginning: 2015. Almeria. Southern Spain. August. Today I dropped my laptop on the concrete floor of a bar built on the beach. It was tucked under my arm and slid out of its black rubber sheath (designed like an envelope), landing screen side down. Page 56: "I had been forbidden to speak so I was silent." My thoughts: When I saw this book on another blog, I was intrigued by the title. I haven't started it yet, but the book flap promises a story with a fraught mother-daughter relationship and the quest for a cure to the mother's mysterious illness. The opening scene is any blogger's nightmare . . .
From Goodreads: I have been sleuthing my mother's symptoms for as long as I can remember. If I see myself as an unwilling detective with a desire for justice, is her illness an unsolved crime? If so, who is the villain and who is the victim?